I’m trying to get back on track with my money and I’ve another 2 countries (5th & 6th out of 12) lined up within the next 4 weeks so I am sort of off shopping at the moment (2 days so far, I’m doing fantastic!!;). What is a Great Rail Sale? 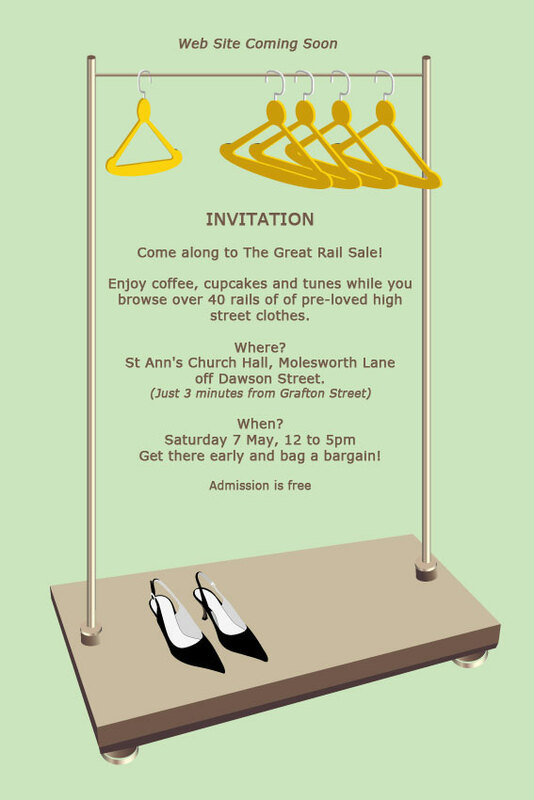 It’s this fantastic idea that Fionnuala McCarthy has come up with; for € 20 – € 25 you can rent a rail that holds up to 30 items and sell your (still good / fashionable) clothes to anyone who is willing to pay for them; right in the middle of city centre (that’s where everything happens after all…). Since the idea is brilliant and Stellar, Irish Tatler, the Irish Times and many more have been a huge supporters, I didn’t manage to book a rail early enough but I will surely hit (what I would imagine to be) one of the hottest shopping spots tomorrow. I’ll see you there ladies!! May 6, 2011 in Published as Fashionstylistka. Great idea, as we already know – it was worth the one hour wait in a queue to get in 😉 Thx for letting me know about it.